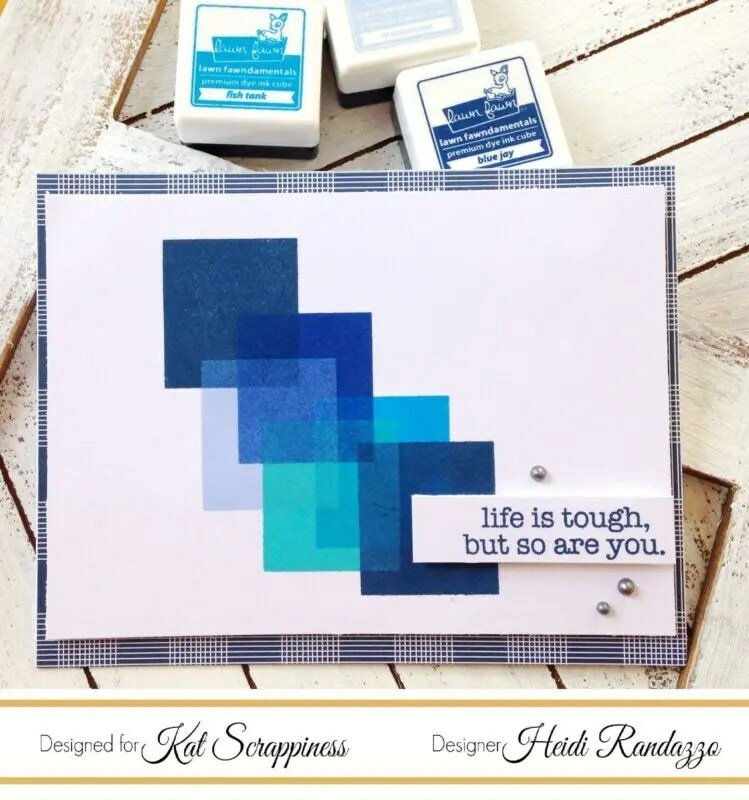 Today I have a couple of projects using the Swatches stamp set from Kat Scrappiness. These are great stamps to use to keep track of your inks, watercolors and Copics, but they’re also great for all kinds of stamping projects. 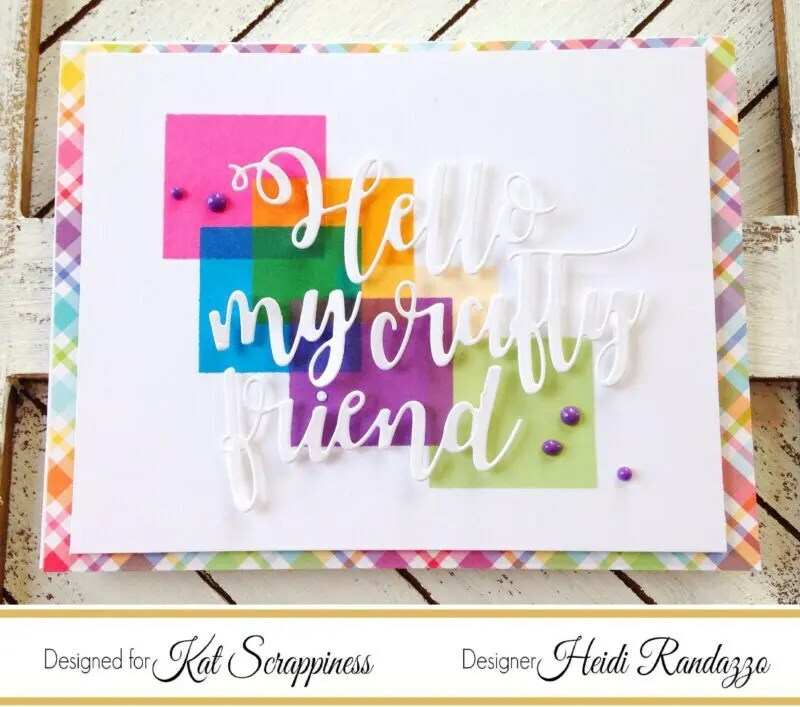 I love using geometric designs on my cards, and that square was calling my name! 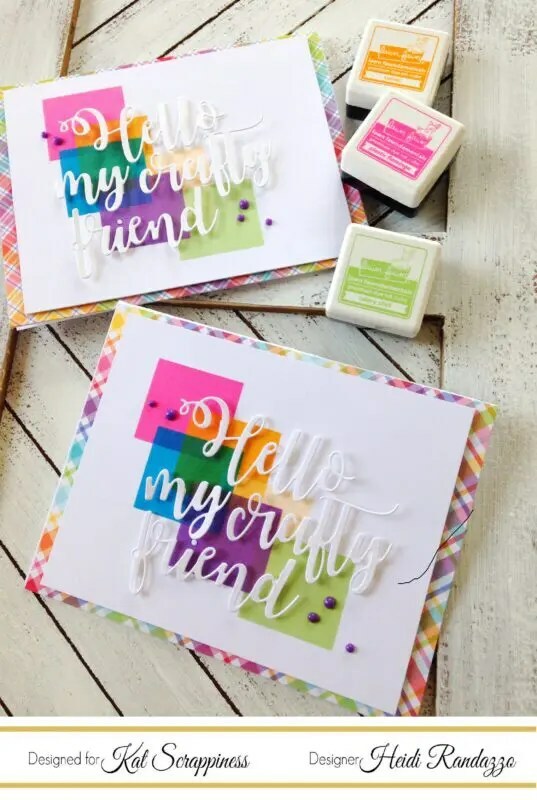 The new Hello Crafty Friend word die is the perfect compliment to these colorful cards. I have a video below showing my process, plus some tips for using solid stamps. 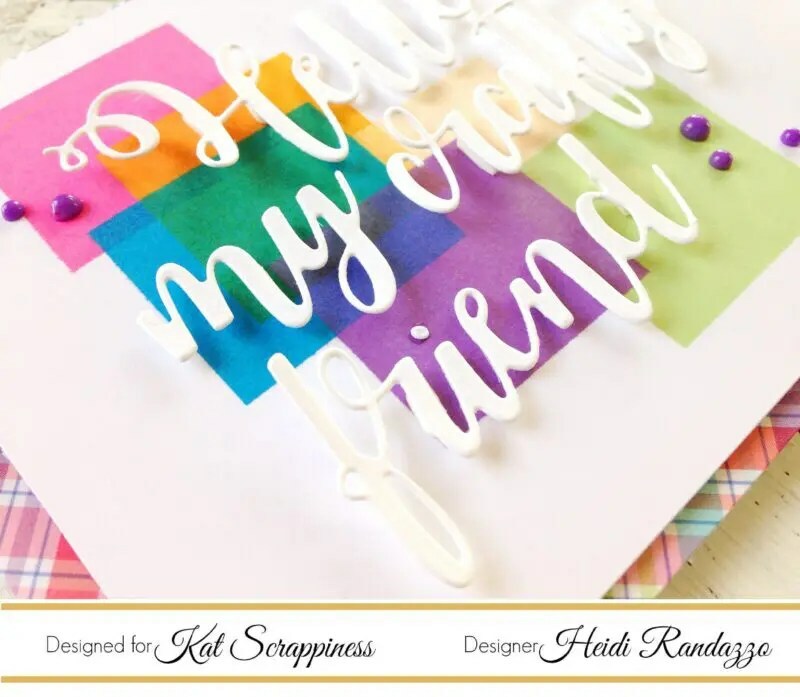 I have all products from the Kat Scrappiness shop linked below. Be sure to use my coupon code Heidi10 to receive 10% off your purchase. Have a great day! Heidi, love the bright colors you used. Both cards are very cute.